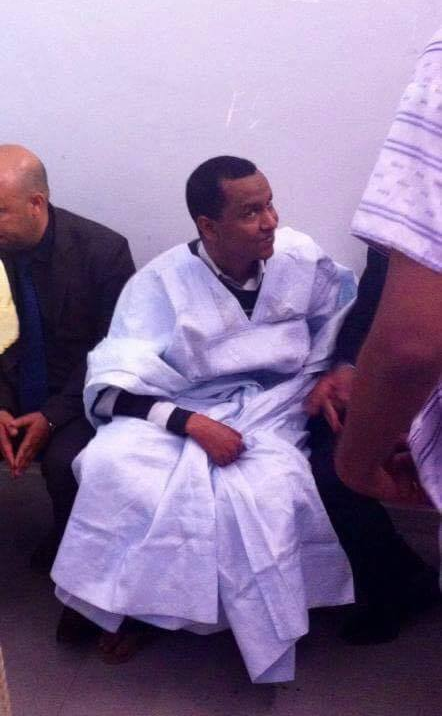 It has taken the Mauritanian legal system four long, arduous years to hand down a sentence of two years prison and a fine to Mauritian blogger, Mohamed Cheikh Ould M’kheitir. M’kheitir’s troubles began in 2014 when he was detained for writing an article about caste discrimination and religion, comparing the status of so-called “low caste” Mauritanians (like himself) to those enslaved during the time of the prophet Mohammed. He was accused of blasphemy for ‘insulting Mohammed’ and of ‘apostasy’ (i.e. leaving Islam). He was sentenced to death in December 2014 by the Criminal Court. Since then his case has been heard several times on appeal. Almost every time he’s appeared in court, on the streets outside – and even inside the courtroom – have been filled with people calling for his execution. See our Mauritania page for more information. The new conviction comes after the Supreme Court in Nouakchott had ordered a retrial. In April 2016, the Nouadhibou Court of Appeal had upheld the death sentence. In his defence the lawyers argued that the appeals court was ignoring M’kheitir’s “repentance”, which under penal codes based on Islamic law is supposed to be grounds to absolve a person accused of ‘apostasy’. While it’s very good news that M’kheitir will finally be free, there is extreme concern for his ongoing welfare. “Our immediate concern now, given the intense and widespread incitement to violence against Mohamed M’kheitir, is that the state must provide the highest level of security for his protection,” comments IHEU Director of Communications and Campaigns, Bob Churchill. “Mohamed M’kheitir’s safety must be ensured and this almost certainly means he must be granted safe passage out of the country.